It can be quite hard to find the right destination for a family fun day when you have three teenagers. Gone are the days of the wacky warehouse (thank goodness! ), and the £1 showing at the cinema – they only show U films now. So how did I entice my children to join me on a day out and leave the Xbox controllers and Vloggers behind? Magic! No, seriously, magic was the ingredient that helped raise seventeen and fourteen year old boys from their beds and a thirteen year old girl to abandon her busy social life in exchange for a day with mum. Tough crowd! My kids know how obsessed I am with all things fantasy, mythological and sci-fi. They are fully aware that if I could, I would move to Rivendell or the Shire. My ‘bff’ (teen speak for best friend forever) would be a dragon, and my ‘other’ job would be a vampire slayer. Every minute of their lives they have been exposed to the supernatural and yet they appear to be fairly unscathed. In fact, my eldest is far more mature than I am! 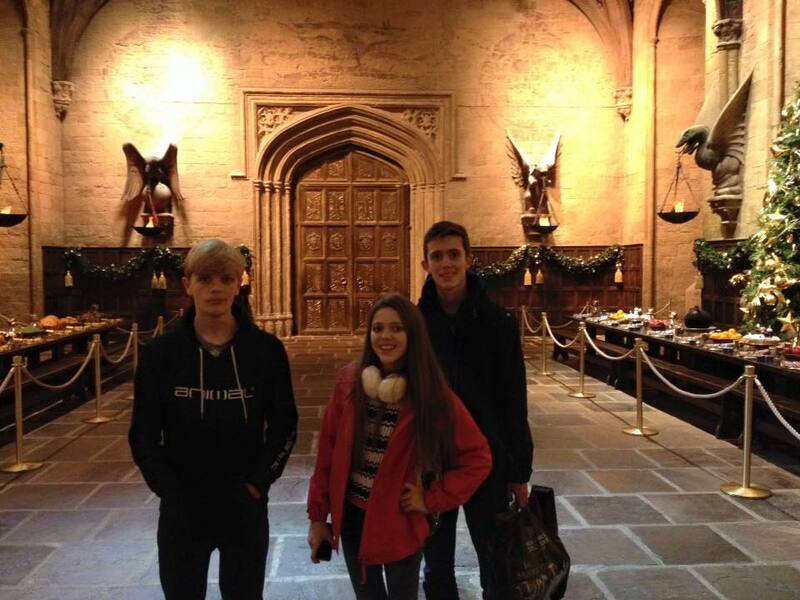 I was therefore slightly nervous when I told them I was taking them to Hogwarts. I was expecting furious eye rolls or frustrated complaints about missing some download on CoD (Call of Duty), but instead, I was greeted with smiles and excited chatter. Score! What we actually got was a double-decker tour bus emblazoned with Harry Potter graphics (still very cool, but not quite as cool as the flying horses). I was surprised to find that my three teenagers were the only children on the bus. 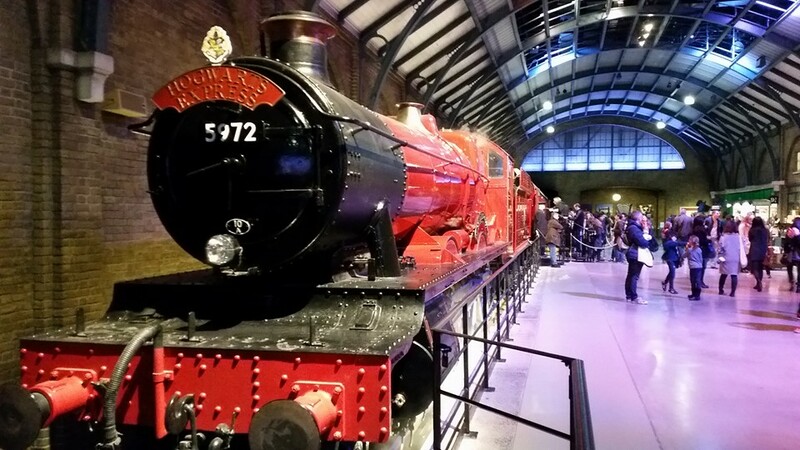 It was packed with adults of varying ages, humming the Harry Potter theme tune and discussing the part of the tour they were most excited to visit. It was impossible not to get caught up in the magic (no pun intended). By the time the tour bus pulled up outside the immense studios, I was squealing like a toddler on Christmas morning. Big smiles before we go inside. The studio buildings and surrounding area were once a local airfield and factory. During World War II, the plant produced fighter planes for the Ministry of Defence. The factory closed in 1994, and the hangers were transformed into soundstages for filming and workshops for sets and props. It was six years later that cameras began filming Harry Potter and the Philosopher’s Stone. 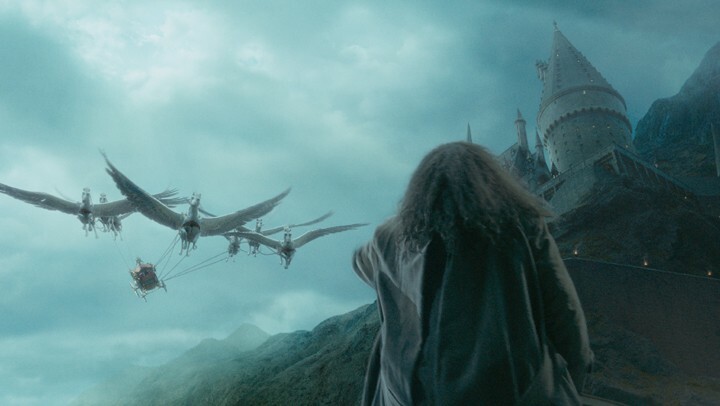 All eight films were shot at the Warner Bros. studio and over the years, hundreds of talented men and women helped to bring the seven books to life. 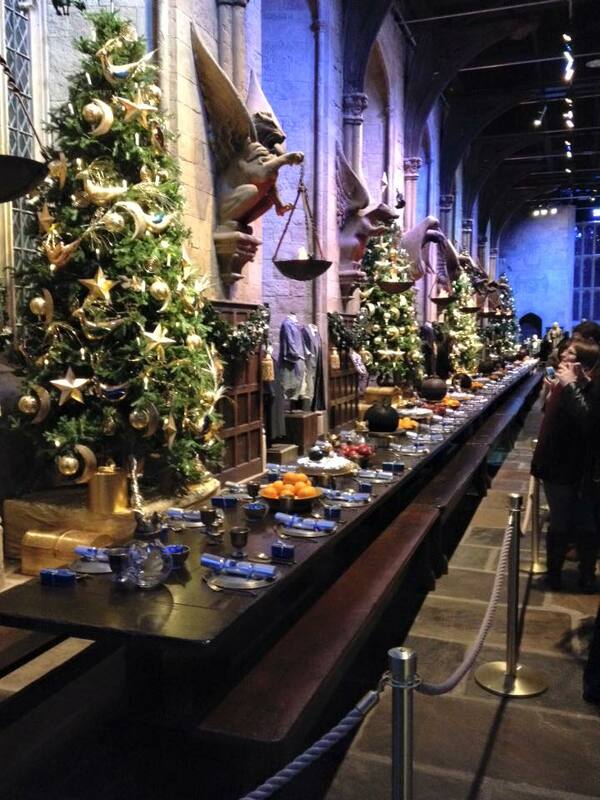 The Great Hall decked out for Christmas. Walking through the big double doors was amazing! When they were filming scenes in the great hall for Harry Potter and the Philosopher’s Stone, the heat from the ‘floating’ candles burnt through the wires and the candles fell onto the tables. They had to use computer-generated candles for the other films. 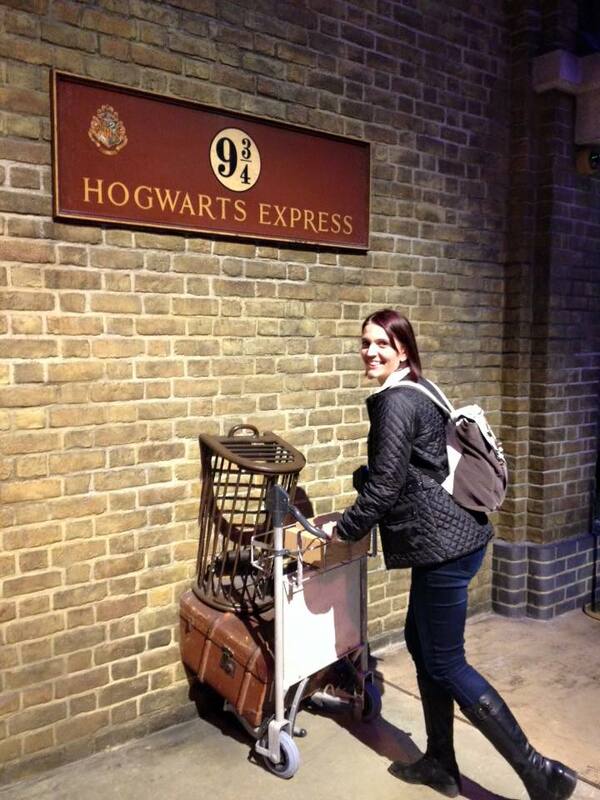 On my way to Platform 9 3/4. The Hogwarts Express was very impressive. 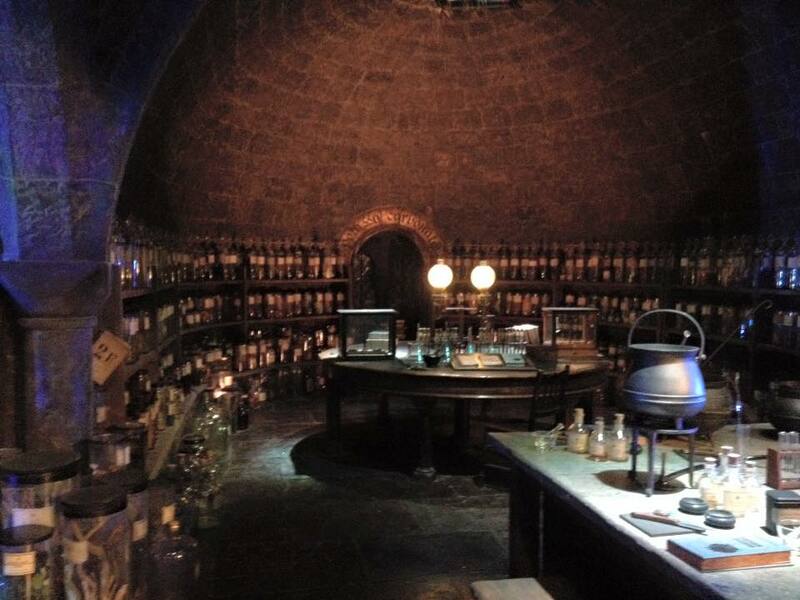 The Potions Lab at Hogwarts. I have only included a tiny selection of the photographs we took on our tour, as this post would put pride and prejudice to shame if I added them all. When you visit, you will see the cupboard under the stairs, the Gryffindor boys’ dormitory, and common room. You get to take a look inside Dumbledore’s office and Hagrid’s hut. Yes, I got a wand! 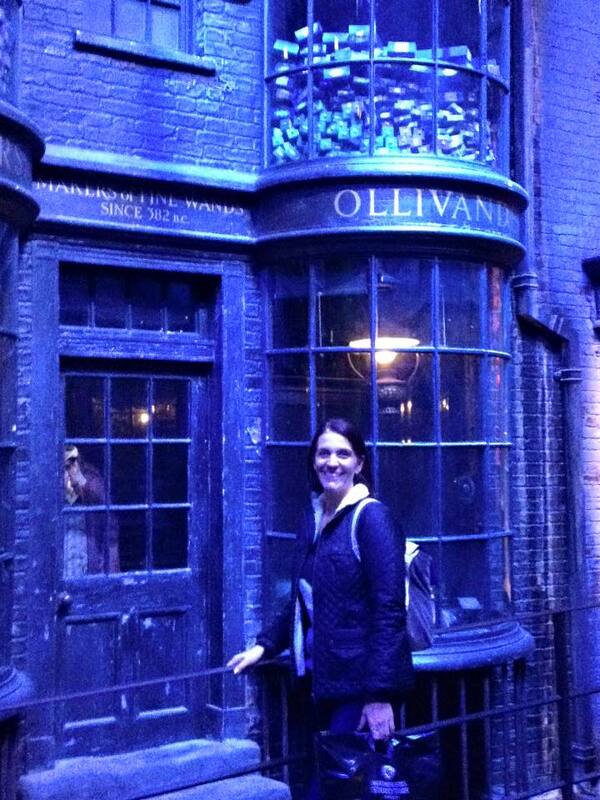 Visiting Diagon Alley was my favourite part of the tour. The street is so realistic, and interestingly the designer combined the details from the Harry Potter books with inspiration from the works of Charles Dickens. It definitely had a Christmas Carol feel to it. 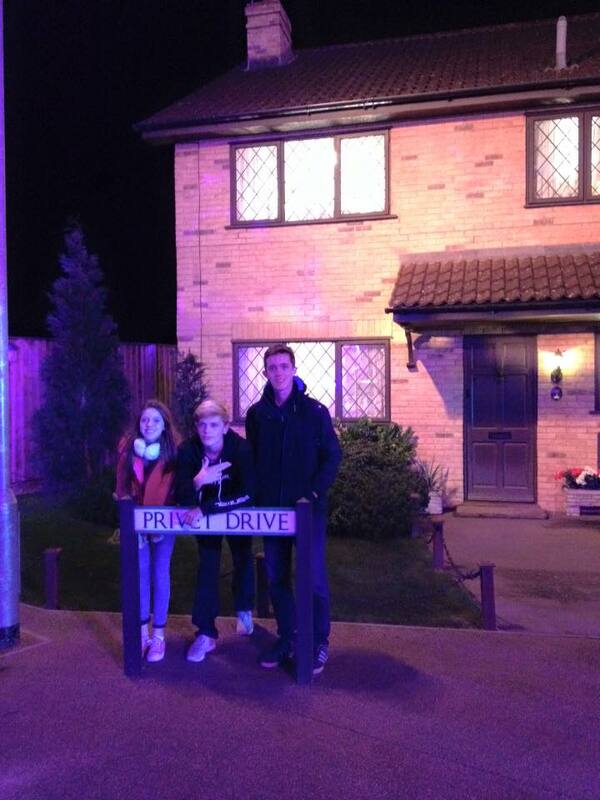 My three outside number 4 Privet Drive. As the tour continued we were able to see how the makeup and prosthetics were created, and we got up close and personal with some of the creatures. I won’t spoil it for you but if you have a fear of spiders then DON’T look up! Aragog may have been an animatronic figure but the 18-foot spider looked pretty damn real when I was stood underneath it! The tour can take a good three-four hours to get around everything and still allow time for a butterbeer. There are two restaurants, one in the entrance and one half way round. The food was lovely, and the service very friendly. The girls who chat to you at the start of the tour certainly know how to build up the tension, and the cinema introduction made me quite emotional (yes, the kids rolled their eyes). 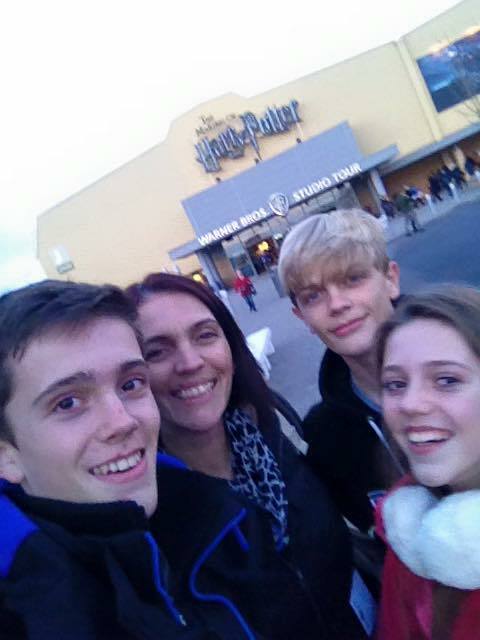 If you are interested in taking a trip to the Warner Bros. Harry Potter Tour then check out the links below. 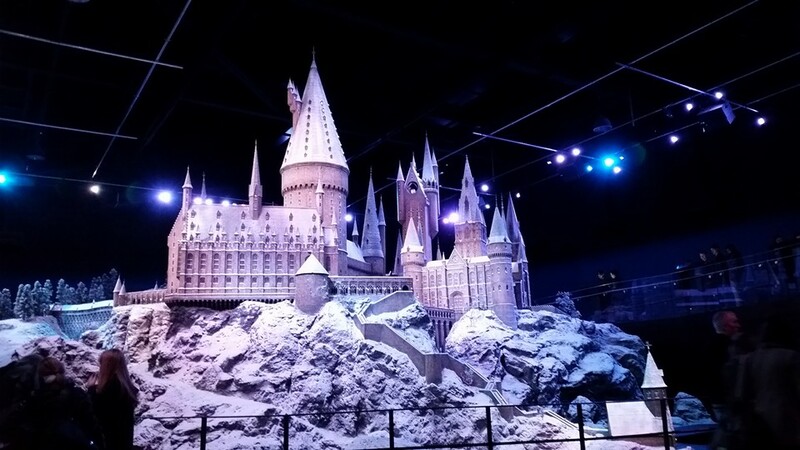 The Hogwarts in the Snow theme runs until 31st January 2016. 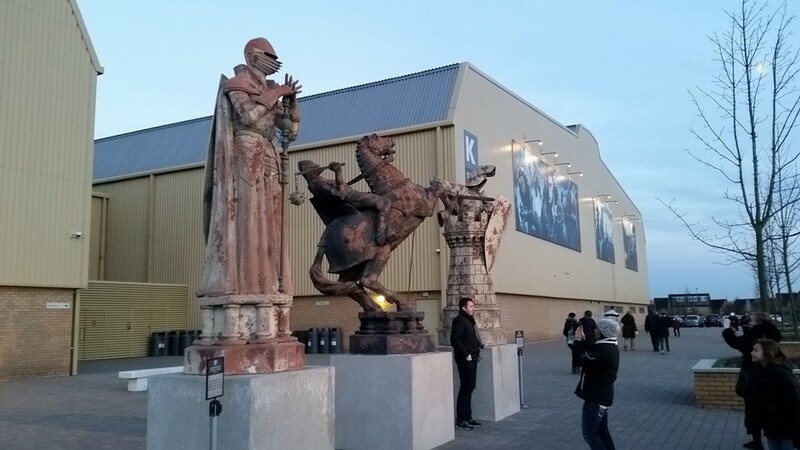 Use the hashtag #WBTourLondon to tag in your photos as you go. 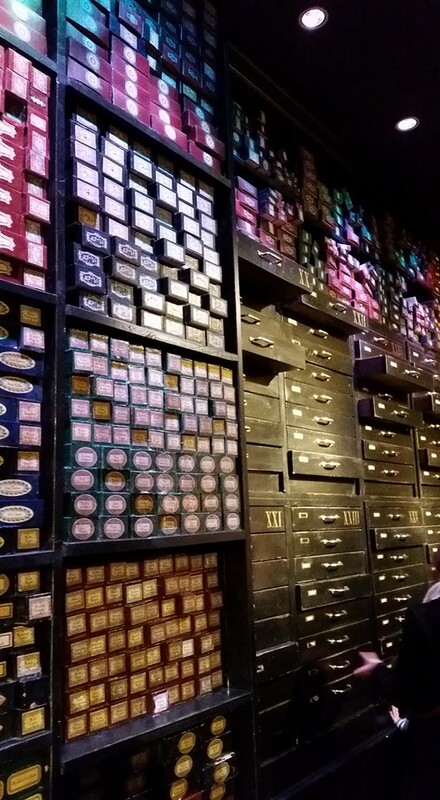 Oow your very own wand! I loved the tour and would love to go back again. Thanks, Louise. I was put off by the cost at first but it’s one of those ‘special’ days that you don’t do very often. It was definitely worth the money. Oh Shelley, it looks fabulous!!!! I bet it was worth every penny. Can I just say how good looking all your children are, too? Fantastic! Definitely going to do this when my grandson is a little older. 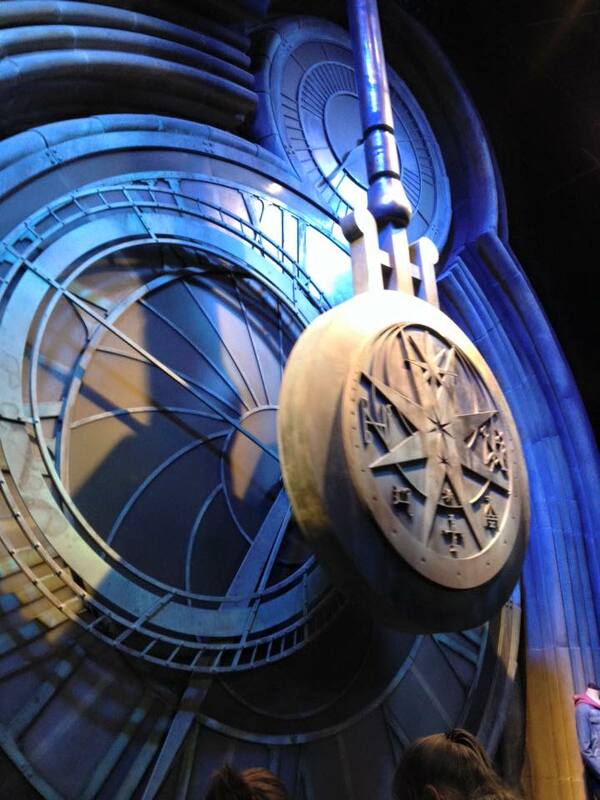 Looks like you all had a wonderful day….and a wand too! Great photos! I’m putting a December/Snow/Christmas time trip on my bucket list for next year. Great blog post, Shelley. We went there back in April 2012 and it was one of the best trips out we’ve had. There’s more to see now than when I went there, too. We’re thinking of adding it to our itinerary when we make our annual pilgrimage to the UK next year. Ooh, lovely, so pretty, and they do choose you, don’t they? I wanted Luna’s original wand, a simple plain wand with oak leaves and acorns, but they only sold it in a set which was beyond my affordability!